Thermoplastic films are thin laminate films produced from thermoplastic materials such as PVC, PET and PP through processes such as calendaring and extrusion. Thermoplastic films are applied on glass as well as wooden substrates, including for windows, doors and furniture. They also find application on other substrates. Thermoplastic films are available in a variety of designs with different textures, patterns, colors, opacities and transparency levels. 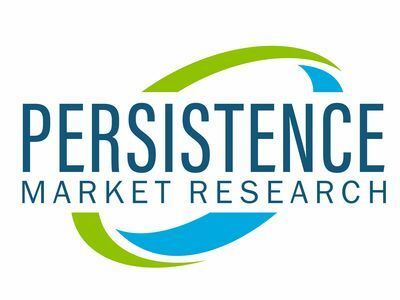 The global market for thermoplastic films is projected to grow at a steady pace and create an absolute $ opportunity of US$ 4.7 Billion during the forecast period. Based on material type, the thermoplastic films market has been classified into vinyl and polyvinyl chloride (PVC), PET, polypropylene, TPU, TPO and TPE. Among these, polyvinyl chloride holds a prominent share of the market of thermoplastic films in value terms. The low cost, easy availability and reliable application of polyvinyl chloride are projected to keep the segment in good standing in the thermoplastic films market throughout the forecast period. The PVC segment is projected to account for a 32.8% share of the total absolute $ opportunity created in the thermoplastic films market between 2018 and 2026. However, polyethylene terephthalate (PET) and polypropylene material segments of the thermoplastic films market are projected to gain market shares at fast rates during the forecast period, owing to their lower toxicity and environment-friendly nature. The polypropylene material segment of the thermoplastic films market is projected to grow 1.7 times by the end of the forecast period. Based on application, the thermoplastic films market has been categorized in furniture, doors & windows, and automotive interior & exterior. The furniture segment accounted for a substantial share in the thermoplastic films market with growing consumption of cabinets & frames, furniture fronts, tables and ceiling applications. The doors & windows segment is projected to grow at a fast rate as compared to other application segments of the thermoplastic films market with increasing demand for decorative window films for aesthetic as well as UV protection and energy efficiency reasons. The doors & windows segment is projected to account for 43.5% of the total absolute $ opportunity created in the thermoplastic films market between 2018 and 2026. Based on end user, the thermoplastic films market has been segmented into residential, commercial, transportation and institutional sectors. The commercial sector has been further divided into indoor and outdoor sub-segments. Commercial end users of thermoplastic films market encompass offices, retail & shopping centers, restaurants and hotels, among others. The commercial segment accounts for a prominent share of thermoplastic films market demand, and is expected to continue playing a significant role in market growth during the forecast period. The commercial segment is projected to account for more than a 44.2% share of the total absolute $ opportunity created in the thermoplastic films market during the forecast period. By region, the thermoplastic films market has been studied across North America, Latin America, Western Europe, Eastern Europe, Asia Pacific excluding Japan & China, Middle East & Africa, China and Japan. China has emerged as a significant demand center in the global thermoplastic films market and is estimated to outpace other regions in terms of market growth. Furthermore, growing demand from the building & construction industry, owing to increased furniture requirement, is projected to drive thermoplastic films market growth in Asia Pacific excl. Japan & China. North America and Western Europe continue to be significant markets for thermoplastic films. GCC Countries are projected to continue their anchoring role in demand generation for the thermoplastic films market across the Middle East & Africa region. The intensity of competition in the thermoplastic films market is high with a high number of large and small players, which leads to high fragmentation in the market. Key companies serving the thermoplastic films market are keen on launching new products to meet the fast changing taste and demands of consumers. Some of the key players active in the global thermoplastic films market include Renolit, LG Hausys, Ltd., Klockner Pentaplast Group, Omnova Solutions, Peiyu Plastic Corporation, Avery Denisson Corporation, Mondoplastico S.p.A, Ergis Group, AVI Global Plast Pvt. Ltd, Macro Plastic Sdn. Bhd, Foleinwerk Wolfen GmbH, Amcor International, Alfatherm, Konrad Hornschuch and Jindal Group. The global thermoplastic films market is expected to create an absolute $ opportunity worth US$ 4.7 Billion during the forecast period. The demand for thermoplastic films is projected to be driven growing commercial developments with increasing requirements for improved aesthetics. Developing economies are expected to drive the pace of new demand growth in thermoplastic films with significant new infrastructure developments, while developed economies are pegged to witness stable demand during the forecast period. The review is based on the findings of a PMR report, titled, "Thermoplastic Films Market Segmentations On the basis of material type - Vinyl and Polyvinyl Chloride, PET, Polypropylene, TPU , TPO, TPE; by application - Furniture , Doors & Windows, Automotive Interior and Exterior and others - Global Industry Analysis, Size, Share, Growth, Trends, and Forecast 2018 - 2026"